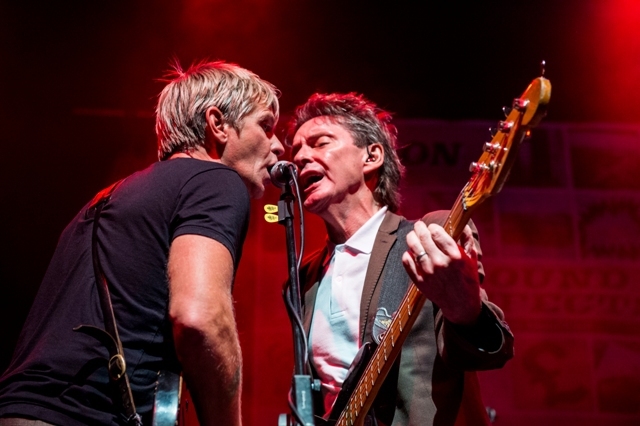 Having celebrated The Jam's musical legacy by touring the classic albums All Mod Cons, Setting Sons and Sound Affects, bass player Bruce Foxton has teamed up again with guitarist/ vocalist Russell Hastings for more From The Jam shows. The current tour, which plays Bilston's Robin 2 on December 3, features all of the greatest hits, alongside rare B sides that Bruce says are giving "the most ardent fans what they want". The As and Bs tour includes many fan favourites as well as rare tracks such as Just Who Is The 5 O'clock Hero, Carnation, Aunties and Uncles and Life From A Window. There is also The Dreams of Children, the B side to Going Underground that was originally intended to be an A side, were it not for a mix up at the pressing plant. When The Jam called it a day in 1982 Paul Weller, Bruce Foxton and Rick Buckler went their separate ways. Paul formed The Style Council and later became a solo artist, Rick formed the short-lived Time UK and Bruce went solo, then joined Stiff Little Fingers, playing bass with them for 15 years. In 2006 he became part of Casbah Club with Pete Townshend's brother Simon, Mark Brzezicki and Bruce Watson of Big Country, supporting The Who in the UK. In 2007 Bruce joined Rick in The Gift, a band that played material from The Jam and was fronted by Russell Hastings, the only frontman to work with both Rick and Bruce since Paul Weller. The project eventually shape-shifted from The Gift to From The Jam, as Rick left and various incarnations materialised with different members, among them Mark Brzezicki on drums. Russell says: "It's spine-tingling to play those songs. I've always treated them as if they're my own children, and have felt like I've got a responsibility towards those songs, and a responsibility towards the legacy of The Jam. I treat them with the utmost respect, and lots of energy, As a result, oddly enough, I understand them a lot more these days. Lyrically, Paul was very advanced." 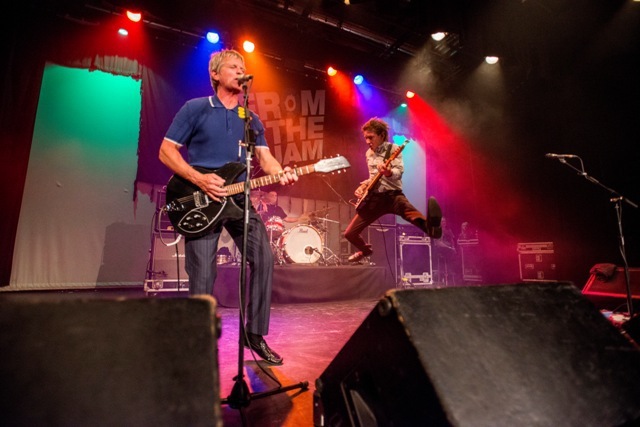 From The Jam are one of the most hard-working bands in music, touring for most of the year. Russell says: "I think it's testament to the strength of the songs that we can tour that much. It's just great that there are so many fans out there that love the music of The Jam." 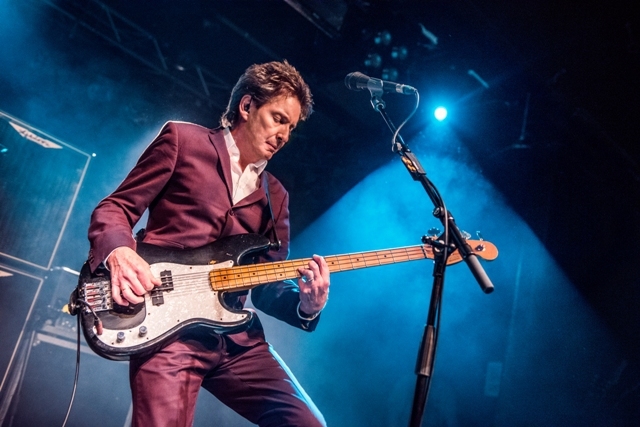 Bruce Foxton's new album, Smash The Clock, released in May, was written with Russell Hastings and features guest appearances by Paul Weller, Wilko Johnson and Paul Jones. It was recorded at Paul Weller's Black Barn studios and debuted in the UK Top 40 chart. Bruce says the meaning of the title track is simply that "good music is ageless and timeless". Like Bruce's last full length recording, 2012's Back In The Room, the album was crowd-funded through Pledge Music, with a campaign in which fans could purchase items such as handwritten lyrics, signed CDs, LPs and artwork.